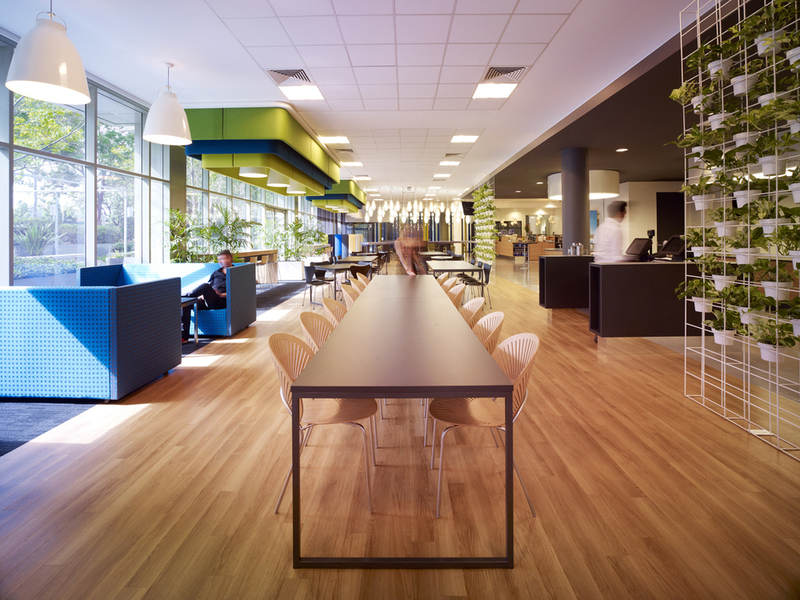 Futurespace completed the refurbishment of four floors (10,700m2) for Microsoft at their existing headquarters in North Ryde. This project is an innovative one: it embraces current best practice in workplace design and implements Microsoft’s Work Place Advantage (WPA) program. WPA is a Microsoft real estate program that invests in Microsoft’s people by providing them with a physical environment that supports innovation, productivity and satisfaction for employees and their businesses. 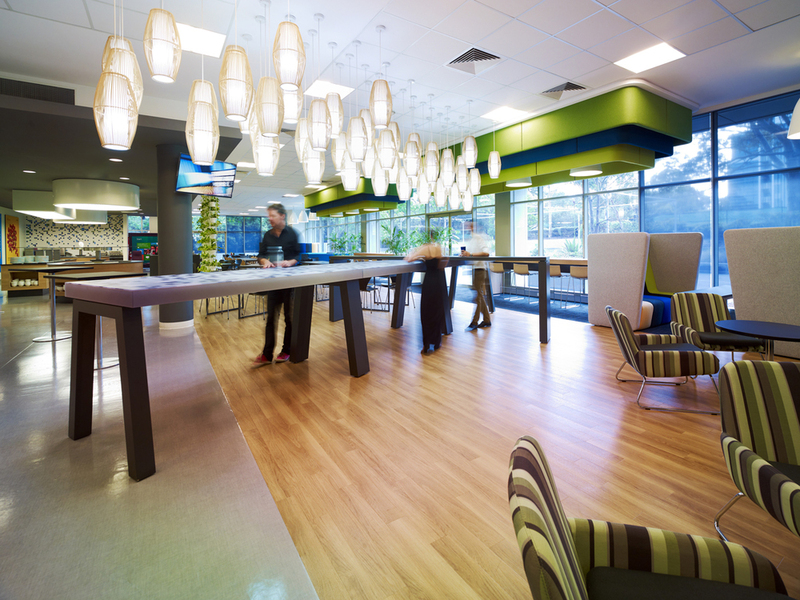 The North Ryde premises includes a full refurbishment of office areas, café, reception and customer facing areas. It provides more meeting and collaborative spaces along with creative and innovative workspaces showcasing Microsoft’s technology. Key drivers for the project include increased employee experience and satisfaction and attracting and retaining a talented workforce. 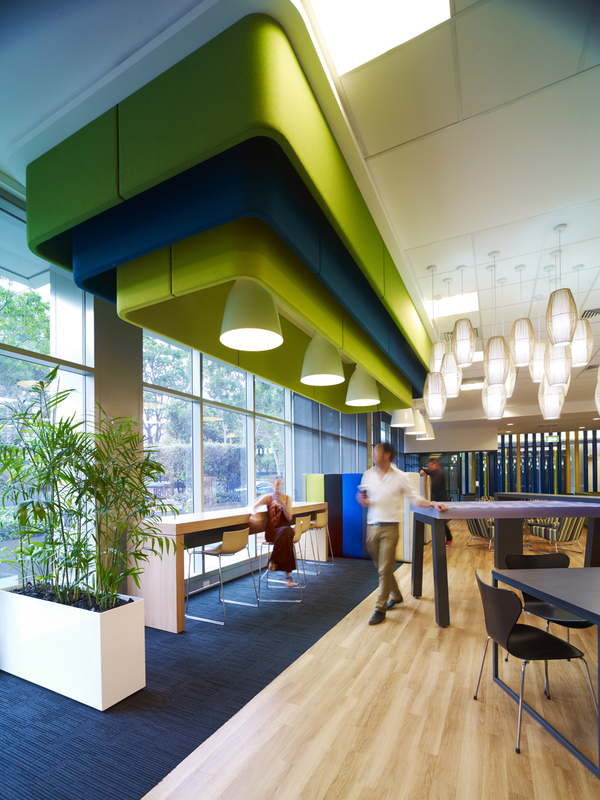 The commercial design concept realises Microsoft’s key goals of maximising access to daylight and incorporating colour, texture, natural materials, and transparency into the design of the work environment. Each floor is identifiable by its own creative concept including geometrics, organic and linear drawing on colour and form of the Australian landscape.